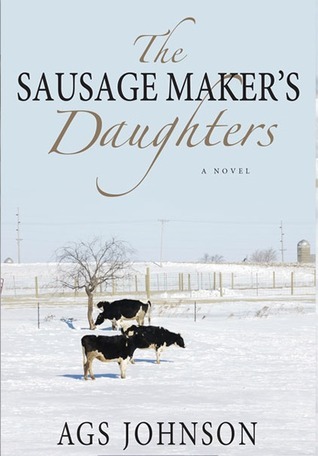 Goodreads: The sausage maker's youngest daughter is heading for the fight of her battle-scarred life. It's the era of the counterculture and Vietnam. But twenty-four-year-old Kip Czermanksi is nowhere near her home in California. She's in a jail cell in her hometown in Wisconsin awaiting a court appearance in the mysterious death of her ex-lover, who happened to be her brother-in-law. Given her father is the small town's leading citizen; Kip isn't overly worried, at first. But the personal grudge the DA holds for all the Czermanskis is about to find a foil Kip. What follows is a wild ride through Kip's present predicament and her past. She'll come to regret leaving her life in LA, regardless of the good reason for which she returned, when family dynamics and sibling rivalries, magnified by her counterculture attitudes and feminist beliefs, lay Kip's life bare before the courtroom. Distrusting her legal team, her rebellious history well known, things both personal and legal spiral out-of-control. It doesn't look good for Kip Czermanski. Kritters Thoughts: Very rarely does a book completely take me away and this one absolutely did. I was a little put off by this synopsis, but hopefully I will convince you all that this is one to go out and grab immediately. From the beginning you are introduced to the baby of the family - Kip who is very different from her three older sisters who all have blonde hair and are all praised for their beauty. Kip is the younger sister that has taken on the problems of the family, but after college she escaped to California to start a new. She ends up back in Wisconsin and in the middle of family drama. Of course, as I always say, I can't reveal too much because it is worth the read. I loved the combination of family trouble and a who dun it mystery. Two of my favorite plots combined makes a complete story, a wonderful story. I am passing this book onto everyone I know, this could be one of my top 5 of 2012 and we are only in month 2 of 2012. Disclosure of Material Connection: I received one copy of this book free of charge from JKS Communications. I was not required to write a positive review in exchange for receipt of the book; rather, the opinions expressed in this review are my own. I just received this one this past week.... thanks for the review... I am excited to read it!